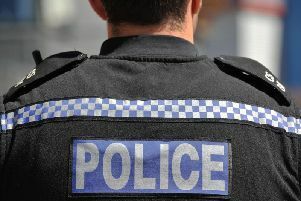 Thieves have been active in Kenilworth once again as three thefts were reported in Kenilworth this week. The first theft took place on Sunday January 21. At some point before 4.20pm, offenders entered the rear garden of a home in Rouncil Lane and cut the padlocks off the door of the garden shed. Once inside, the offenders stole a can of petrol before making off. This is incident 249 of January 21. The second incident happened yesterday (Monday January 22) between 7.30 and 7.45pm. Offenders stole a round 18-inch wide maroon coloured plant pot with Greek patterns around the top from the front garden of a home in Cherry Way. This is incident 99 of January 22. And during the night of Monday January 22 into this morning (Tuesday January 23), offenders stole two ball-shaped, artificial topiary trees in crockery pots and with solar lights from a home in Frythe Close. This is incident 98 of January 23. Anyone with any information about these crimes should call Warwickshire Police on 101, quoting the relevant incident number.